Heavy hearts in Boston today. We need not remind you of why. Once again, the Boston Red Sox will be there to take our minds off the tragedy and provide an outlet of relief. 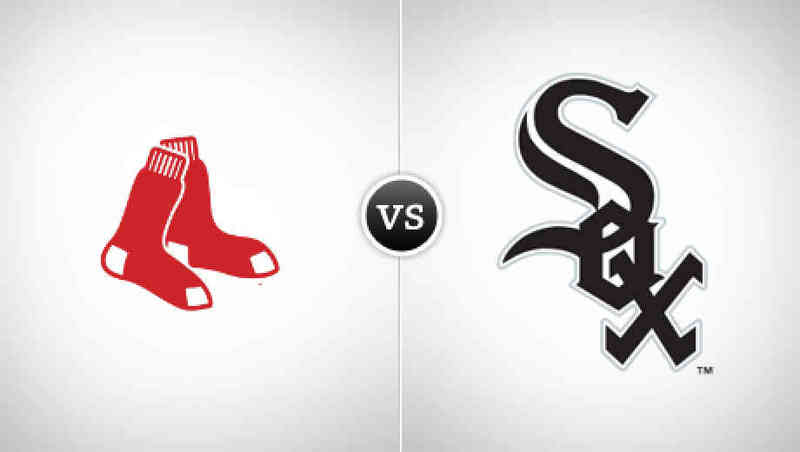 Boston faces the Chicago White Sox at U.S. Cellular Field for a three-game series. The weather is going to be a factor tonight with temperatures at the freezing mark - wind chills well below there - and potential for some snow flurries. But we're not weathermen here at Red Sox Life, so let's get to what we do know. Tonight's starter is Jake Peavy, who is making his second start against his former club. Peavy started against the White Sox on Aug. 31, 2013. He allowed five hits and two earned runs over seven innings, picking up the win. This season, Peavy is off to a nice start with a 2.13 ERA through 12 2/3 innings. He doesn't have a win, but has 12 strikeouts and opponents are batting just .196 against him. The Pale Hose will counter with rookie right-hander Erik Johnson. He is 0-1 with a 9.58 ERA and hasn't made it to the sixth inning in either of his first two outings of the season. In his first start, Johnson allowed seven runs in 4 2/3 innings to the Royals. He then gave up four runs to Colorado in 5 2/3. Both starts were on the road. Johnson is making just his eighth career MLB start. As mentioned, Peavy is facing his former team for the second time. A.J. Pierzynski returns to the Windy City for the first time as a Red Sox player. Pierzynski was with Chicago from 2005-12. He made a return in 2013 with the Texas Rangers and the White Sox provided a video tribute. Pitching coach Juan Nieves is in his second year with Boston, having come over from Chicago where he was the bullpen coach from 2008-12. Pierzynski launched his first home run of the season at Yankee Stadium over the weekend. He still has yet to hit a home run at Fenway in his career. He has 173 total home runs, and 76 of those have come at U.S. Cellular Field. First Shane Victorino (hamstring), then Will Middlebrooks (calf), then Koji Uehara (shoulder), now Dustin Pedroia (wrist). The Red Sox have already seen their fair share of injuries through the season's first 13 games. When healthy, that third of the lineup that is missing can, and likely will, make a strong impact. Victorino is expected to make a rehab stint with Portland and Pedroia's injury isn't as bad as initially feared, same goes with Uehara. Middlebrooks should also be back soon, meaning within the next 10 games or so, the Red Sox will be back to full strength (knock on wood).